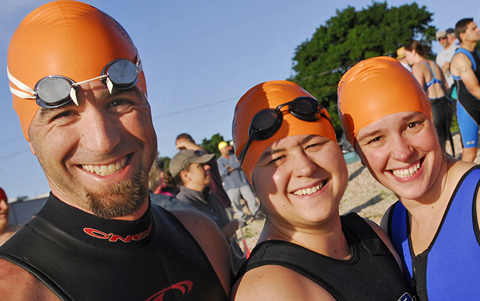 Saturday, June 22, 2019, 6:00 a.m. to 10:00 a.m.
Don’t miss this chance to swim point-to-point across a closed shipping channel with 300 other swimmers! Assisted by the U.S. Coast Guard and a local safety patrol, swimmers navigate 1.2 miles through the harbor and channel, passing by the iconic Butler Flats Lighthouse and the New Bedford Hurricane Barrier, one of the largest stone structures on the East Coast. At the thrilling finish, swimmers are welcomed with a beach party featuring a live steel drum band, pancakes cooked to order, gourmet coffee, free massages, and local beer!